Josh has been a "computerphile" since the Commodore 64 and gains most satisfaction from his work when he can apply his skills against a technical challenge and develop more efficient systems. He has designed the many iterations of Mediate.com over the years as the web has shifted and grown. He is also an avid fly fisherman. He has been with RIS since 2000. Dr. Clare Fowler received her Doctorate on designing dispute resolution systems for small businesses from Pepperdine University Graduate School of Education/Organizational Leadership and her Master's of Dispute Resolution from the Straus Institute for Dispute Resolution at the Pepperdine University School of Law. 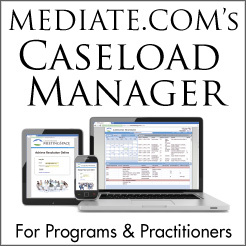 Dr. Fowler serves as Managing Editor at Mediate.com and as Director of Caseload Manager. She has also worked at Pepperdine Dispute Resolution Department and UO CRES as the Career Advisor. Clare has mediated and trains, focusing on workplace disputes. Dr. Fowler's dissertation was a phenomenological study of Workplace disputes. Her current book project is a guidebook for HR directors dealing with high conflict employees. Angela has made it her goal to keep our clients happy since coming to RIS in 2000. She began her career in computer and web related customer service in 1995 while working with a government contracted agency for the State of Oregon Driver’s License program. She also has experience in finance, technical help desk, computer repair, trade show coordinating and a variety of other skills. She claims herself a ‘Jack of All Trades, Master of None’. She though has mastered the art of organization and being very detail oriented.